Through compelling narrative stories and jaw-dropping photography, Our State magazine celebrates everything that makes our state great! Each month, we reflect the beauty of North Carolina, tell the stories of its amazing people and its remarkable history, and suggest wonderful places to visit. We are unabashedly in love with the Tar Heel State, and every page is designed to be an inspiring tribute to where we live. Since 1933, Our State has shared these stories about North Carolina with readers both in state and around the world. 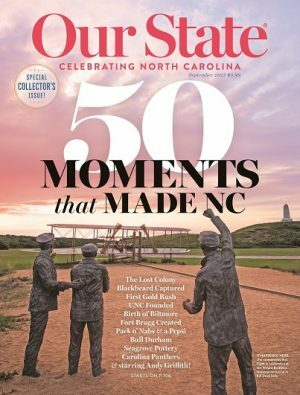 Our readers are passionate about North Carolina and treasure the magazine as a connection to all the great things about the state.